Find hotel near Roman Catholic Archdioces .. If you are looking for a peaceful place to devote your Sunday in service of God, the Roman Catholic Archdiocese Of Barcelona is the perfect place for you. A Latin rite Catholic metropolitan archbishopric in north-eastern Spain's Catalonia region, this church offers you and your family a serene ambience to offer your prayers to the almighty. The church is spread across an expansive area of 339 square kilometres and is a minor basilica along with nine others. The church is open all days of the week and offers community learning services for everybody from women, children, men and the elderly. You can also visit the church to perform ceremonies such as wedding, baby-shower and funeral. 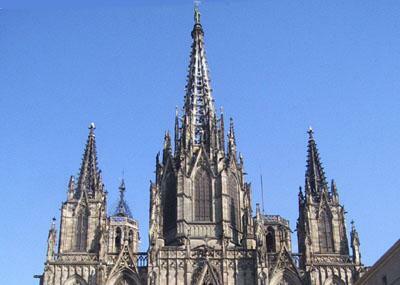 How popular is Roman Catholic Archdiocese Of Barcelona? People normally club together Museu De La Xocolata and Palau De La Musica Catalana while planning their visit to Roman Catholic Archdiocese Of Barcelona. People also prefer to start their day with Roman Catholic Archdiocese Of Barcelona.